Representatives of St. Agnes HealthCare in Baltimore and St. Joseph Medical Center in Towson announced May 16 that Patrick F. Mutch has been chosen as executive director of Mission Health Partners, the multi-institutional health-care collaborative formed by the two Baltimore hospitals early this year. Mr. Mutch, a parishioner of St. Ann in Baltimore, will be responsible for implementation of strategy and day-to-day management of the alliance. He has more than 30 years of health care management experience including serving as the chief executive officer of hospitals in Baltimore, Boston and Prince Georges County. 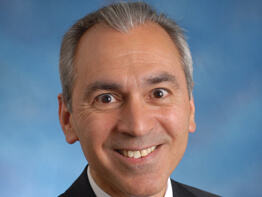 Mr. Mutch was CEO of the Children’s Hospital in Baltimore in the 1980s and he has been a consultant for Catholic Charities in the Baltimore archdiocese and a faculty member at the Johns Hopkins Graduate School of Business in Baltimore. Recognized for working in complex healthcare systems and developing partnerships among hospitals, physicians, government, insurers and the community, Mr. Mutch has a master’s degree in public health and health care administration from the University of Pittsburgh. “We are confident he will provide the leadership necessary for Mission Health Partners to improve the way health care is delivered in the Baltimore Metropolitan area,” Mr. Tolmie said. St. Agnes and St. Joseph joined forces in January 2007 to form Mission Health Partners, a collaboration to align health-care providers throughout the Baltimore-Washington corridor to improve the quality of medical care for area residents, while strengthening the mission and vision of each organization. Plans for the joint venture include the integration of select clinical services and physician networks as well as the expansion of ambulatory care and community outreach in underserved neighborhoods.